Managing Director of Falcon Petroleum Limited, Professor Joseph Ezigbo has said now is the right time for the government to remove subsidy on petroleum products. “I think it is something that needs to be done now but it requires both the political and economic will. The turning point is highest now from every group and there are still a few people who must be against the withdrawal of subsidy but they are enemies of this country. Today, if you go to Enugu, Benin or Lagos up to the North, nobody is buying fuel now at government approved price of N87 per litre. 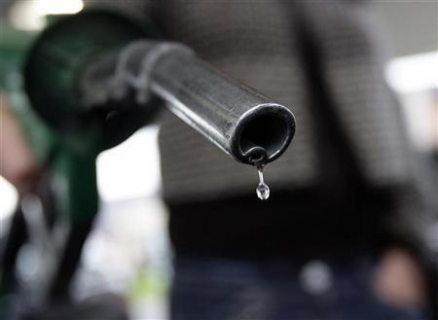 Many buy at the rate of N110 and N120 per litre, yet the country is running and so why are we deceiving ourselves by saying that subsidy removal may trigger inflation and price hike which may not be good for the common man,” he told Vanguard in an interview. “So, why are we still keeping it there? We are keeping it there again for the few people that are still making money from it and it is a problem. I keep referring people back to when GSM came in newly into the country, the SIM card alone was about almost a hundred thousand Naira. Today, it is cheap and even offered to people free of charge. That is what we need to do and now those that have licenses to build refineries, we should make it possible for them to build, remove the subsidy so that the players can buy using appropriate price mechanism. If we get there, a lot of people will come in and the price too would be driven down. So, why are we still having subsidy? It does not make sense. Let us not take corruption with the right hand and say we are throwing it away and then give it to the left hand to fight it. If we want to kill it, we should kill it and move the nation’s economy forward. “Let’s revamp our refineries and if people now want to import, let them import and then sell at the right price. If the refineries are working, we can put appropriate pricing to it and if anybody is bringing the product at a higher price, nobody would buy from you,” he said. Reacting to a policy that the Nigerian National Petroleum Corporation (NNPC) become sole importer of petroleum products. He wondered why that should be so. “…I am wondering why would NNPC import fuel. If the refineries are working properly, then there is no reason why this country should import fuel . The country gave out several licenses for refineries to be built but not even one has been built simply because the conditions were wrong. So, if we are serious, we should ensure that people that got these licenses are in the position to build the refineries but the problem remains that there were no good policies in place to drive the process and that is why they could not build them and if they do they would eventually lose money. What the government needs to do is to look at these policies guiding the setting up of refineries , correct the grey areas and encourage other investors to build so that NNPC would not have to import fuel from anywhere. All we need to do is to set up properly the Port-Harcourt refinery, Warri and Kaduna and then things would move properly,” Ezigbo said. Shocking Tweet: Instead of Marrying a UNILAG Babe, I Would Do This.